Timber from Short heath land sale yard and railway, sleepers were dug up and transported every Sunday from 8.30am till 3.30pm from February to September. Transport was provided by G Hargreaves Bridgetown, Alan and Bradbury Rugeley, Ferriers Brownhills and a few others. Some days 220 sleepers were dug and transported, all labour and transport was voluntary given. 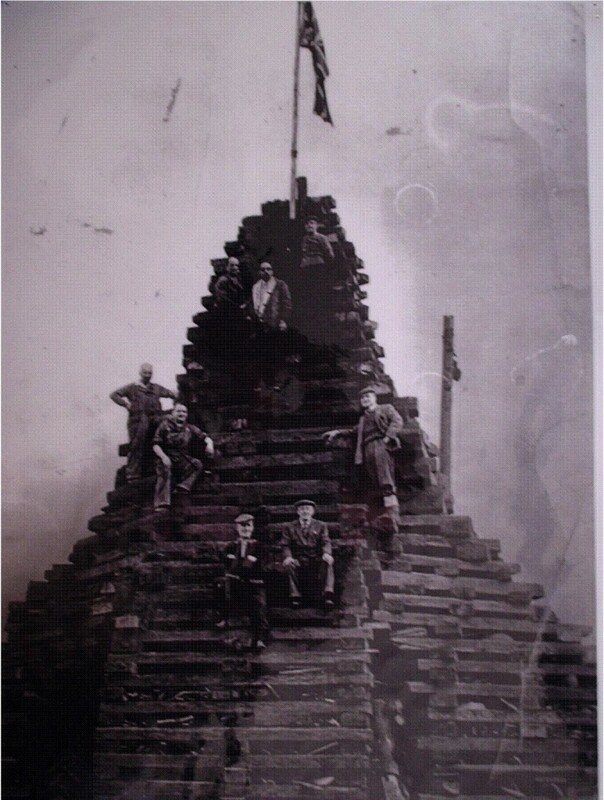 The base of the fire was started early September and completed on the 5th of November. 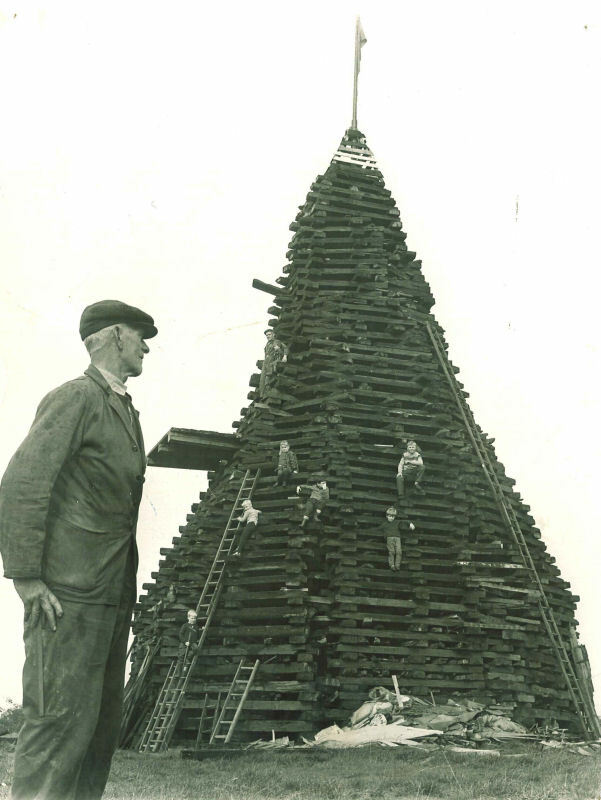 Mr Sam Barber (the gentleman) standing on the front of this picture spent most days working to build the fire while others helped every Wednesday night and all day Saturday and Sunday . A few of those who helped were Tom Boot, Bob Lowrie, George Blakemore, Frank Hall, Marcel Biddle, Ron Renolds, Norman Doughty, Geoffrey Teece, Bob Jackson, Alan Robinson. On the stage a piano with a guy, playing it was part of the fun. A firework display with about £120.00 worth of fireworks and a soup tent completed the arrangements. Charge for admission was 2 shillings adults, 1 shilling children, soup 1 shilling, hot dogs 1 shilling. Profit was about £200.00 and was given to charity.